This week I started a new work schedule. I now only work 4 days a week, having every Monday off! At first I was wishing for the Fridays off, but after yesterday I am thinking that Mondays are the way to go… It was such a productive day!! Hell I even managed to get out in the morning & wash my windows.. Along with a million other tasks that I never got done over the weekend. But my favorite task yesterday was planting a few flowers! I am just recently getting into this whole gardening thing on my own. I have always helped my ma with planting flowers, & her garden. But now that T & I have our own yard, I am beyond excited to get the growing started!! & make our yard more then beautiful..! Here are the flowers that I started in the pots. 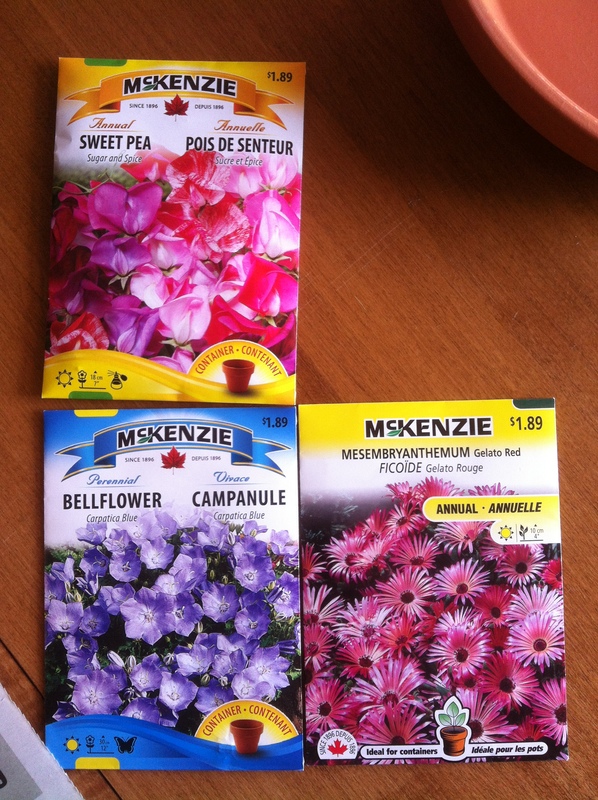 My plan is to transplant the sweet peas into my garden once the warm weather hits. The others I think I will keep as potting plants on my deck! I decided instead of starting them in the little seed trays, I would just go right for the pot! I had a tube of craft paint at home, so I thought I would let my crafty side come out! The one with the black spot, I used Chalkboard paint so I could write what I had planted. Then I realized I had no chalk!! Whoops.. Oh well I’ll pick some up. 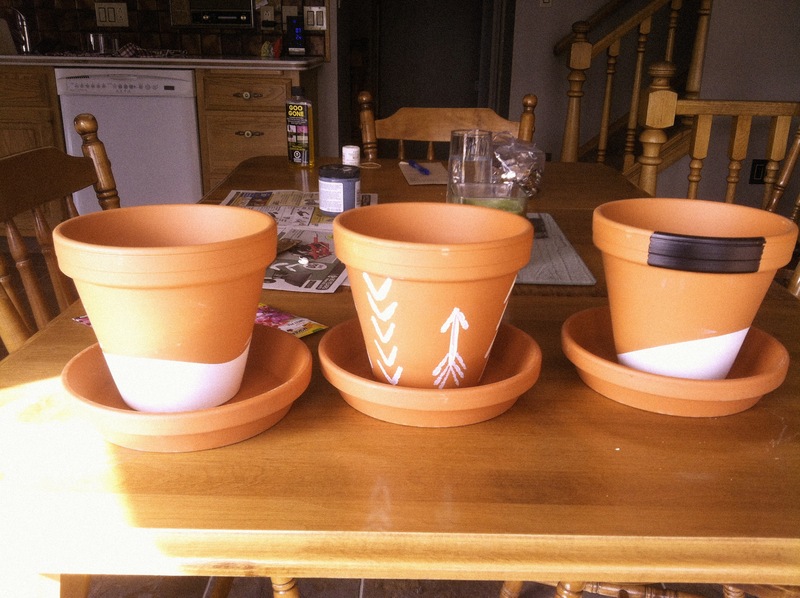 I got the idea for the “Drip Pots” (the outside ones) from this ladies blog. 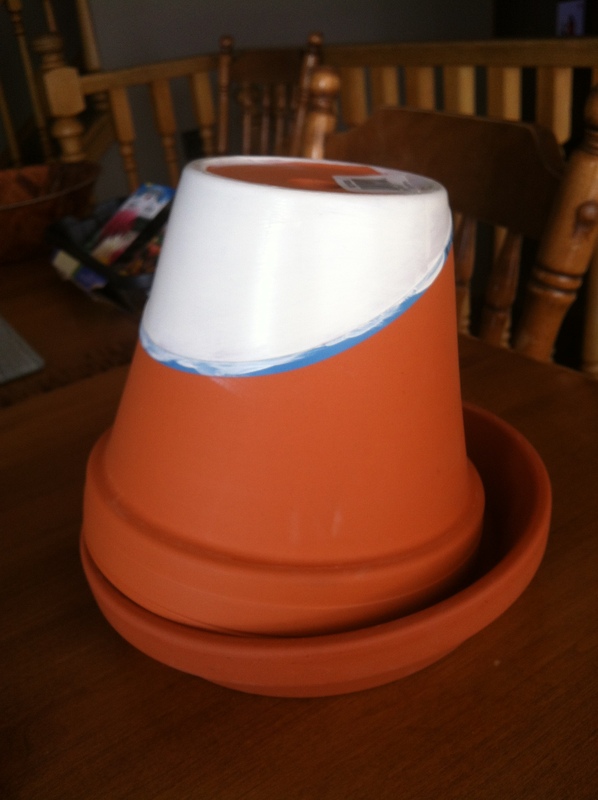 http://witandwhistle.com/2013/03/25/diy-color-dipped-pots/ All she did was put an elastic around the bottom of the pot, & paint! I loved the look so I had to try it. It turned out great!! I then set up a little table in my windows that face the southeast. Planted my seeds & now I’m just waiting for them to grow!! 🙂 Man… I hope they grow!! T’s mom also gave me a little Basil plant. It was looking a little sad, so I decided to plant in too. So I was looking around to see what I could possibly plant in it….hmmm this old Cheeze Whiz jar would be perfect!! I lined the bottom with some glass beads, then topped with potting soil, & planted the Basil. I must say it looks much happier!! I forgot to take a picture of it… but I will tonight! I topped it off by tying some pretty yarn around it just to dress it up a little. Hope you have a wonderful Tuesday! 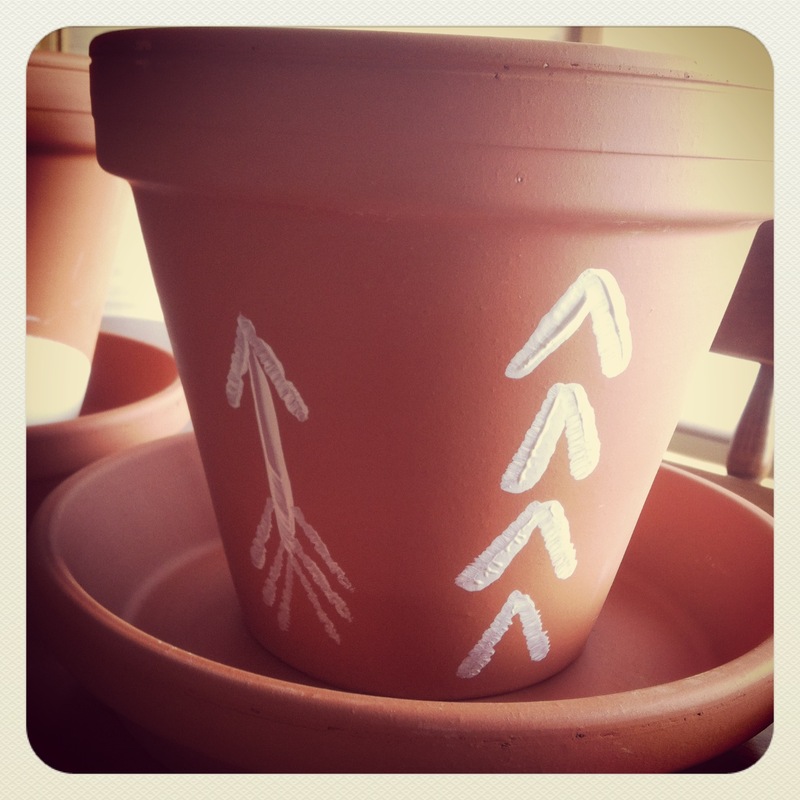 Send me pictures of your pots, or other ideas on how to paint cool designs… I don’t have much of a drawing bone.. so any help is good help! ← Don’t Keep Up With The Jones’s! !